For Sony Pictures, it may get even worse. Hackers are threatening to release more sensitive data from last month's massive cyber break-in. "We are preparing for you a Christmas gift," the group posted on a website. "The gift will be larger quantities of data. And it will be more interesting. The gift will surely give you much more pleasure and put Sony Pictures into the worst state." The file has since been deleted but CNN viewed a saved version of the post. The hackers, who call themselves The Guardians of Peace, have already exposed a trove of sensitive data. Revelations include everything from embarrassing emails between Sony executives to information on compensation and celebrity secrets. While the identity of the hackers remains murky, several security researchers have pointed to North Korea. They point to similarities between this hack and last year's attack against South Korean banks. Why Sony Pictures and why Christmas? The hackers are believed to have been inspired by the Christmas day release of the Hollywood studio's film "The Interview." 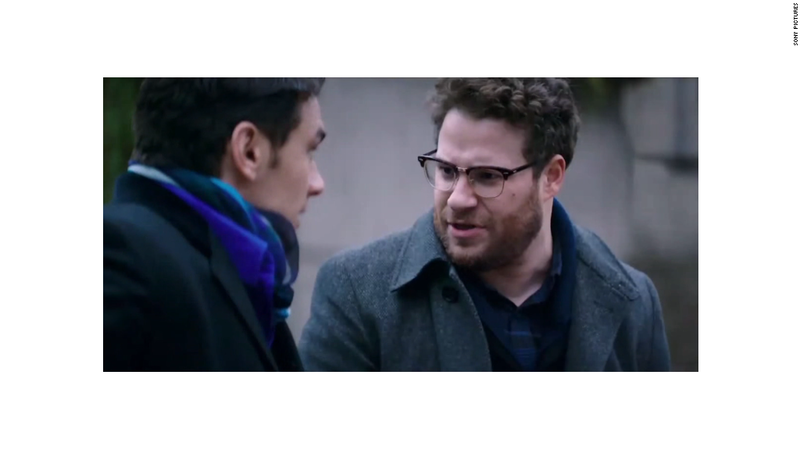 Seth Rogen and James Franco star in a comedy about a plot to kill North Korean leader Kim Jong-Un.